So, think banning guns is going to solve America’s murder problem? The data should tell you to think again. Yes, in spite of the fact that we’ve been told that Mr. and Mrs. America turning all their guns in is the best way to fix violence, that’s actually a complete lie. And the Crime Prevention Resource Center has the numbers to prove it. Do you think guns prevent crime? 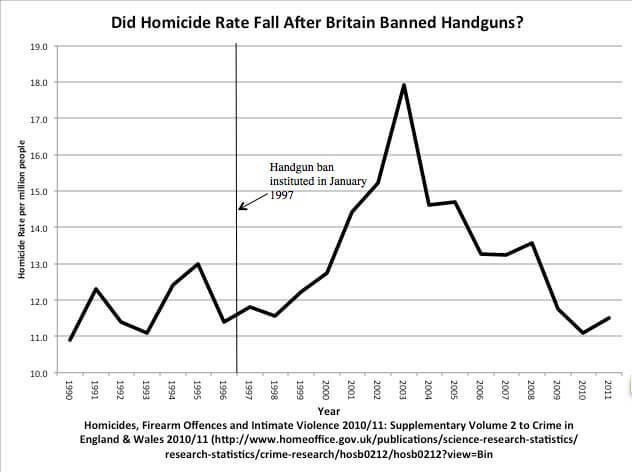 The next time someone says that banning guns will stop violence, we need to confront gun-grabbers with the facts. Tags: Chicago, England, gun control, guns, Ireland, Washington D.C.